Having access to a cold, refreshing drink on the hottest of days is one of the nicer things in life. When you’re on the go, you want to be able to access a fresh supply of freezing cold ice in order to cool your drinks down and keep your food fresh. One way to keep everything constantly chilled is to incorporate a portable ice maker in some of the most popular places where you may need to access some cold cubes. Instead of lugging large and heavy bags of ice wherever you go, ice maker options such as under the counter or portable units can make things easier and more convenient for you. Here are some recommended spots in which you should consider installing an ice maker. If you own a recreational vehicle, a great thing to consider adding to it is a portable ice maker. Spending time at the campground surrounded by your closest friends and family members is a great way to make summer memories. 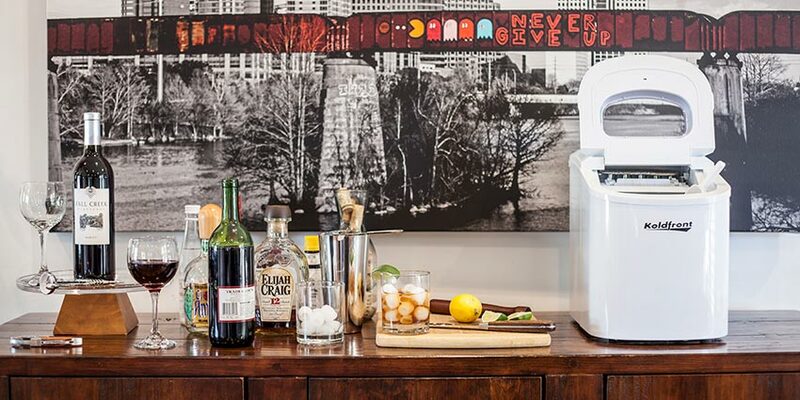 For maximum comfort and refreshing moments, an ice maker can help you pass out the coldest of drinks. There’s nothing worse than having to make the long journey back up to the campground store in order to either buy a supply of ice or get your ice from the one machine that everyone is using. Making multiple trips to get ice is not the best way to spend your days that are meant for relaxing. Instead, you could invest in an ice maker so that when you choose to entertain in your RV, you are prepared. The next spot where a portable ice maker would come in handy is on a boat. If you’re one of the lucky owners of a boat, an ice maker can be incredibly helpful in several different situations. For fisherman, an ice maker makes a great tool in order to keep a fresh catch cool and ready to be cleaned. Whether you’re catching freshwater fish or saltwater species such as shellfish, keeping them packed in ice can make them tasty and ready for a summer feast. Next, when you’re spending hours at a time out on the bay or the river, it’s not easy to make a pit stop for ice to cool down your drinks. Having an ice maker on hand can help keep everyone on the voyage cool and hydrated, even on the hottest of days. 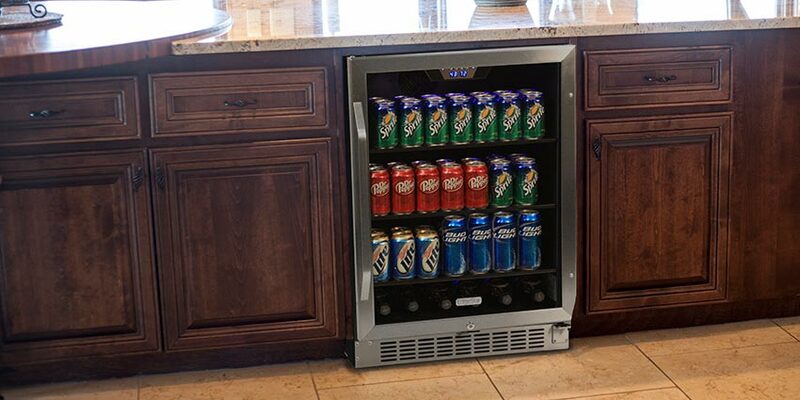 When you’re tailgating for the big game, you want to keep your spirits up with cool and refreshing ice cold beverages. For some people, the tailgating experience may last several hours before you walk into the stadium and get some refreshment from your seats. You can keep the party going by having a fresh supply of constant ice to keep cold things cool and ready for consumption. Also consider the fact that when you’re planning to grill meat, you don’t have to pack dozens of extra coolers in order to keep the food from going bad. A portable ice maker can give your perishable items a way to stay ready all day long and give everyone a reason to cheer. For those who enjoy the luxury of owning a second vacation home, a portable ice maker may be a great choice when considering different appliances. Most people equip their vacation homes with appliances that are missing some of the top features that you may choose for your primary home. These older or less fancy appliances, such as refrigerators, may not have a built in ice maker ready to use. In that situation, it may be a good idea to buy a separate ice machine for under the counter. 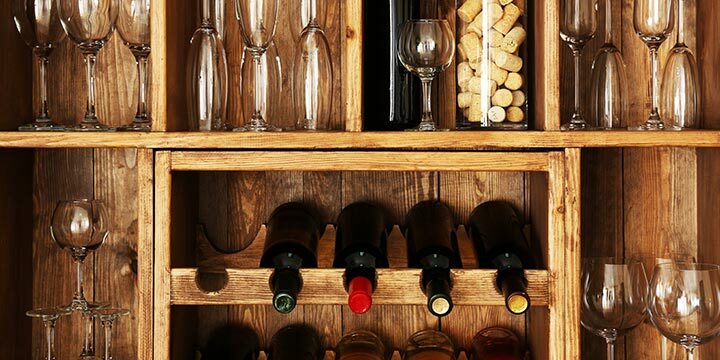 That way you don’t have to wait overnight for a tray of ice to be ready to entertain when you have guests over. When you first arrive into your vacation home, you want to be able to access ice immediately upon entering. 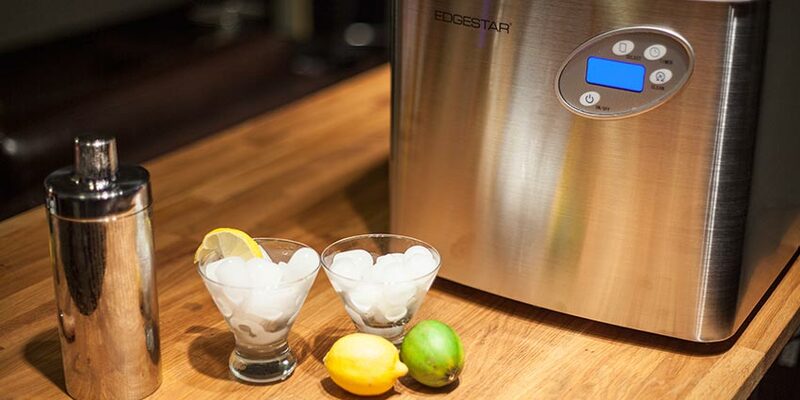 If you are someone who is enthusiastic about mixing drinks in your dedicated bar space at home, adding a portable ice maker is a great choice. Most cocktails require the addition of a generous amount of ice in order to make the drink taste its best. 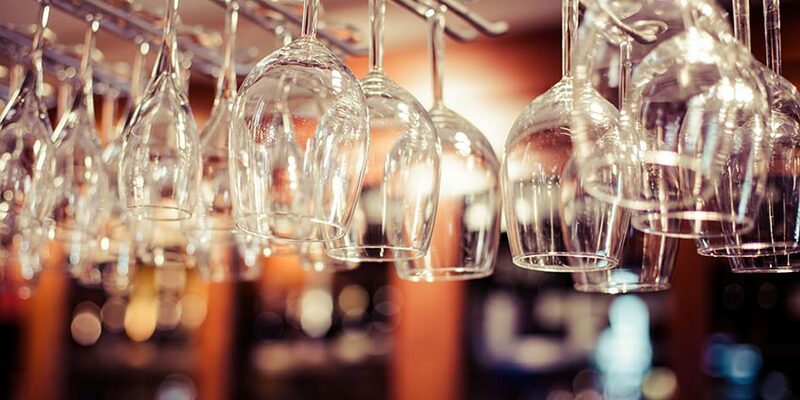 If you have found yourself running up and down stairs between your home bar and your kitchen in order to obtain the necessary amount of ice, an ice maker may make things more convenient. When you’re blending drinks and need a thick, frothy mix, or when you’re creating the perfect martini that needs to be shaken with chunks of ice, an ice maker can make things even more delicious. If you have an outdoor entertaining space attached to the side of your house, you know that during the summer months, things can heat up. When you fire up the grill for your friends and family, you may find that you have to bring out your largest coolers filled with ice in order to keep up with the demand. You can make things easier by having an ice maker installed in part of this outdoor space. 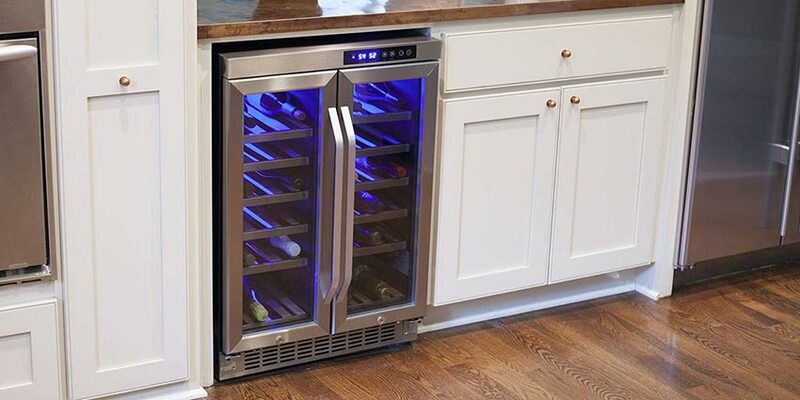 When the temperature rises, simply put your ice maker to work so that you have a source to help you cool off, even when the sun is at its most powerful. Finally, a portable ice maker can come quite in handy when you’re out on the road for a camping trip. Whether you’re camping in a trailer or spending time in a tent, an ice maker is sure to be of use. Not only can your ice maker keep your drinks cold, but it can also help with keeping common food items fresh for when it’s time to cook over the campfire. Eggs, milk and other necessities are kept at the perfect temperature with the aid of a generous amount of ice. When you’re ready for a cold drink and fresh food, a portable ice maker can certainly be of use. 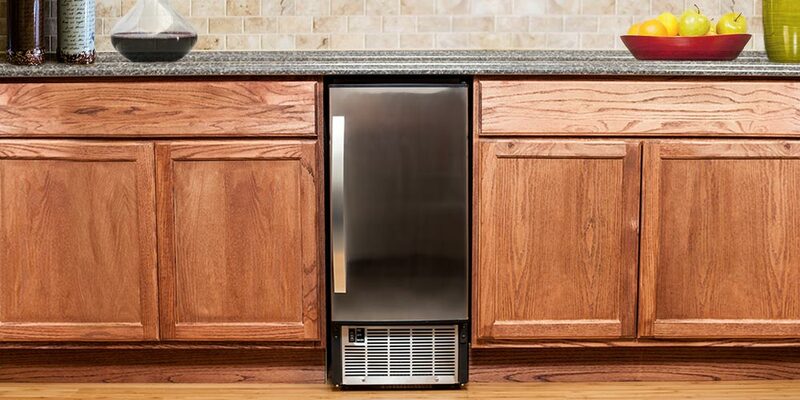 If you’re thinking about installing an ice maker, there are many different options out there that can fit whichever space you’re thinking of. Whatever you choose, your ice maker can help you enjoy the upcoming summer months even more.